A big shout out to all the women who love heart designs. Here's a stunning piece of heart pendant that will surely make you skip a beat. 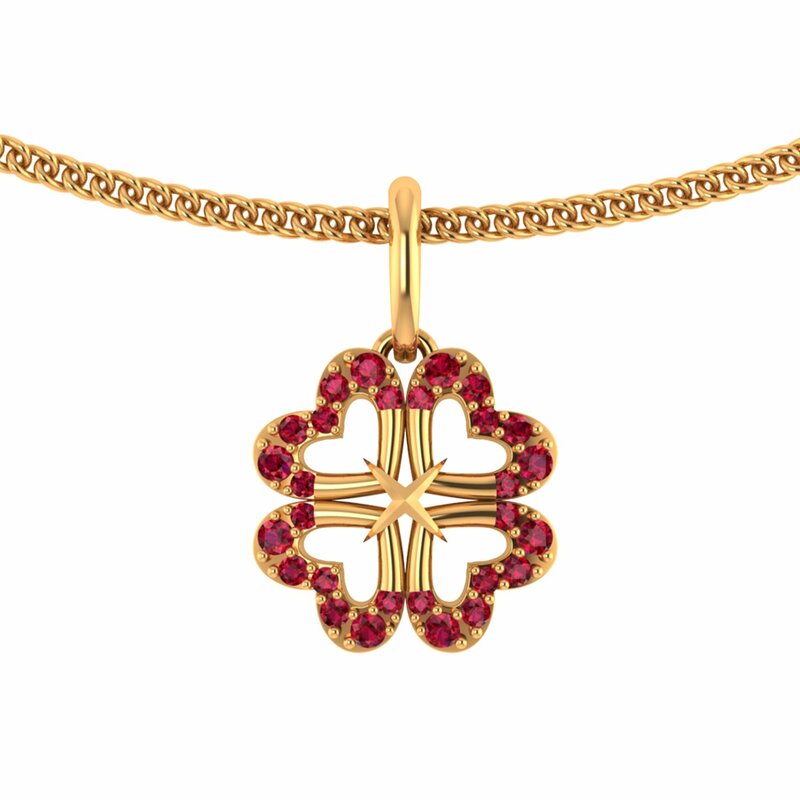 Carved in gold, embellished with red coloured stones, you will not agree with us more that this pendant redefines heart theme. But hurry! It's a limited-edition piece and we are almost stock out.